Protected Electrical and Data can provide electrical safety inspections for your home or business. 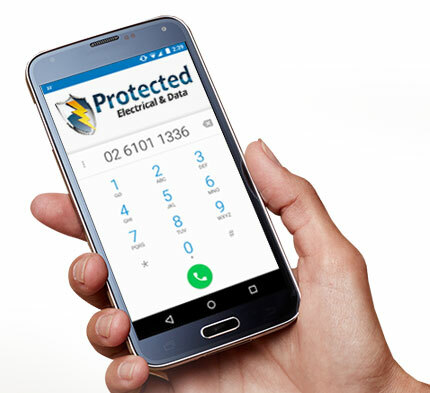 If you are concerned about the safety of your electrical installation, we can do a full inspection and advise on any upgrades necessary to provide you with peace of mind. Commercial Lighting, Light-boxes and Shop Lighting Canberra. Do you want to make your business stand out and get noticed? Protected Electrical & Data can provide a range of back-lit signage and shop lighting. LED light boxes are an energy efficient option to add to any shop, while providing great advertising day or night. Looking to connect electricity to your new or existing garage? Protected Electrical and Data can provide garage power supplied from your home's switchboard to energize garage lighting, sensor lighting, garage power points, outdoor power points, power for automatic roller doors and more.